The Brandon University library is teaming up with the Brandon Public Library to present a celebrated Winnipeg graphic novelist and writer at a number of events next month. David Alexander Robertson will first present in the Gathering Space at the John E. Robbins Library at BU on the morning of Thursday, Oct. 4, starting at 10:30 a.m. 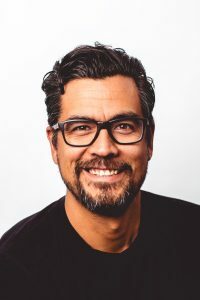 He will speak on Indigenous representation, mental health issues, and contemporary issues in First Nation communities as represented in his new Young Adult series. That presentation will be followed by lunch at the BU Indigenous Peoples’ Centre. In the afternoon, Robertson is scheduled for two presentations to high school students at Crocus Plains Secondary School. Then, in the evening, Robertson will be at the Brandon Public Library for a creative writing presentation and workshop. That workshop will begin at 7:30 and is scheduled to last about 45 minutes. Pre-registration is requested, and can be done in person at the Brandon Public Library, by calling 204-727-6648, or by email to Danielle@wmrl.ca. The morning and evening events are both free, and open to the public. Robertson is an award-winning writer whose books include When We Were Alone (Governor General’s Literary Award winner, McNally Robinson Best Book for Young People winner, TD Canadian Children’s Literature Award finalist), Will I See? (winner of the Manuela Dias Book Design and Illustration Award Graphic Novel Category), and the YA novel Strangers. Robertson is known for his educational and entertaining writings about Canada’s Indigenous Peoples, reflecting their cultures, histories, and communities, as well as illuminating many contemporary issues. Robertson is a member of Norway House Cree Nation who lives in Winnipeg. The tour is being supported by The Writer’s Union of Canada and by the Manitoba Arts Council.